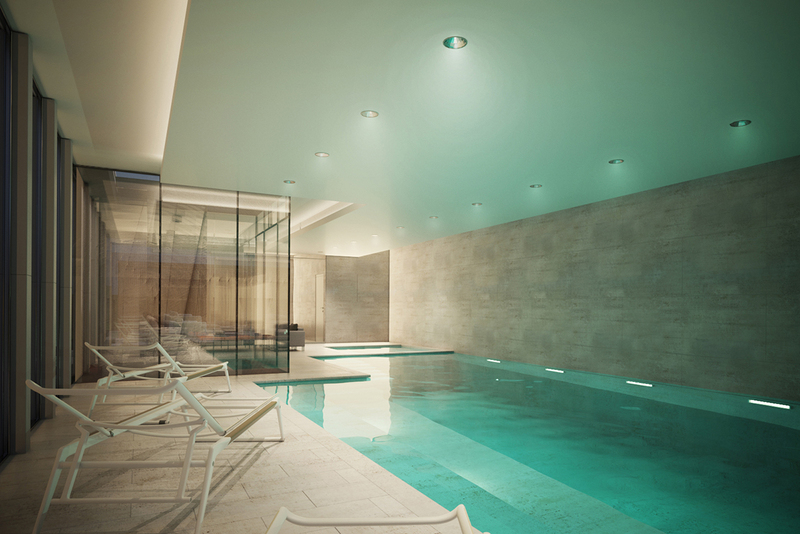 A new swimming pool and spa to a substantial home on Roman Road, Streetly. 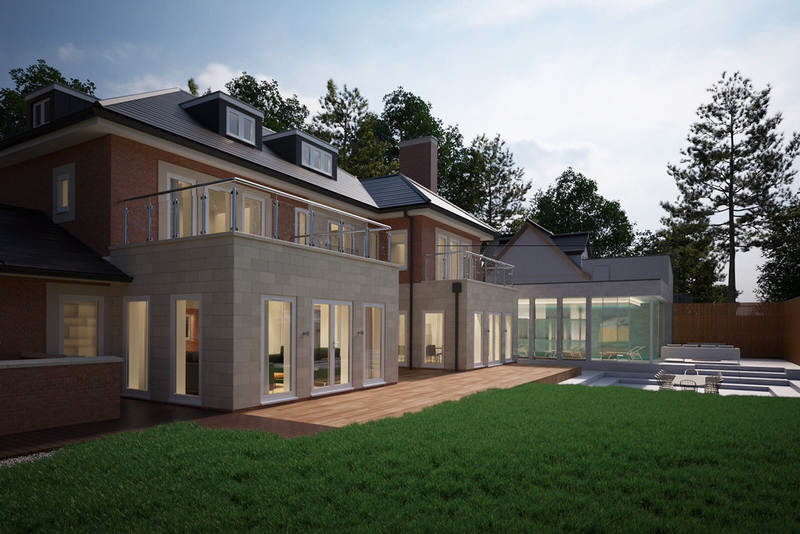 We created a bold stone clad modernist pavilion attaching itself to the dwelling, both at ground and first floor level. 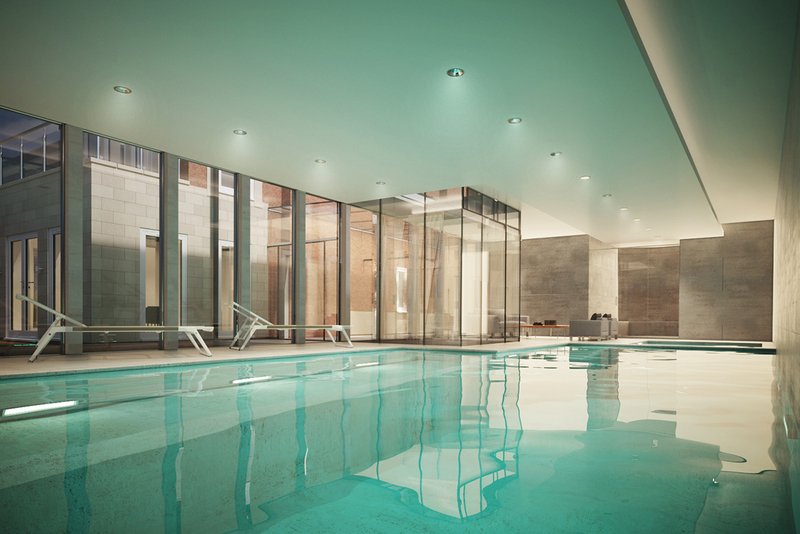 Internally a large 11m long pool has been created with hydrotherapy, spa, steam room and bar within the transparent glass link. 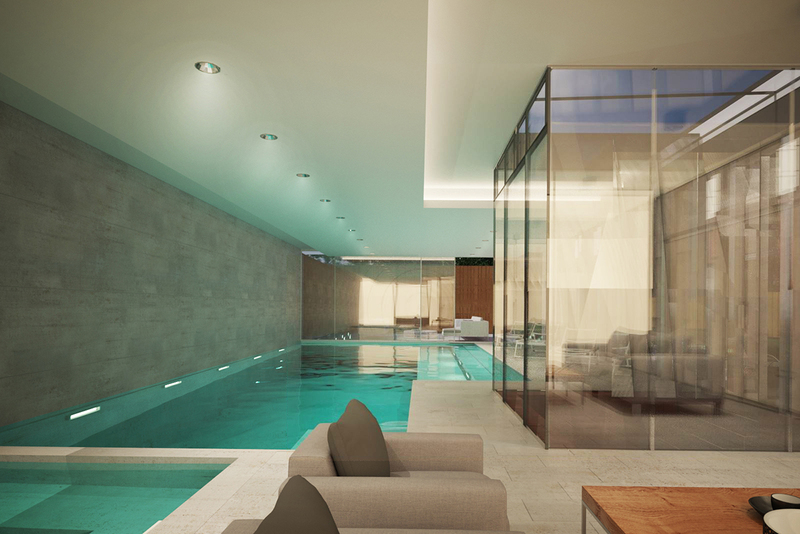 External terraces with a sunken dining area stem from this and the sliding glazed doors at the end of the pool will open electronically to blur the join between pool and the stone plinths outside.